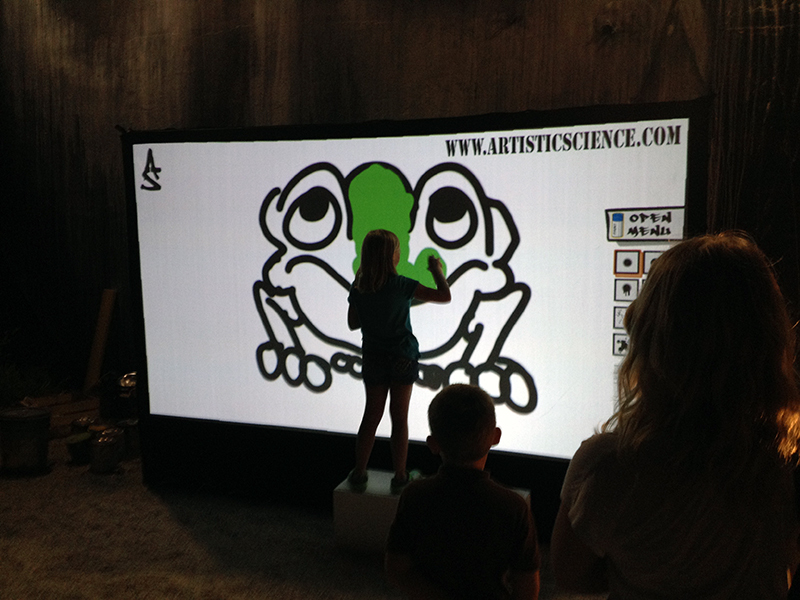 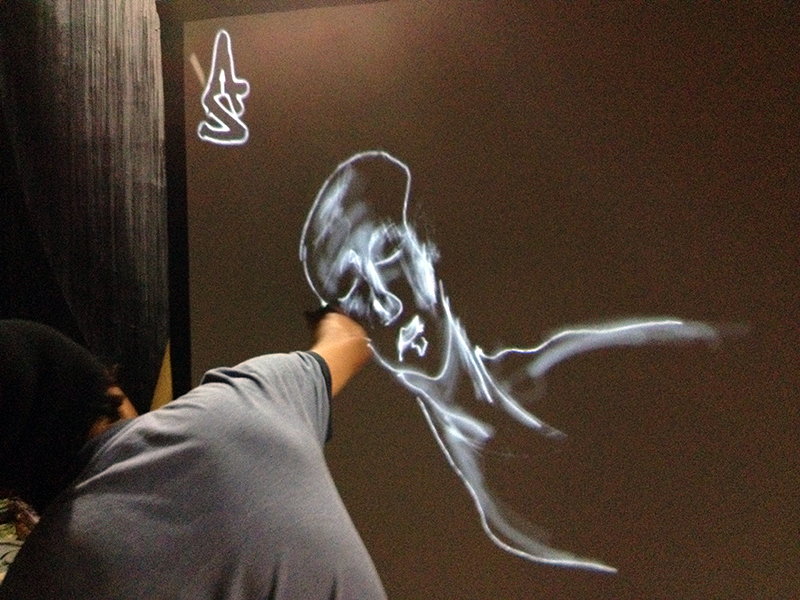 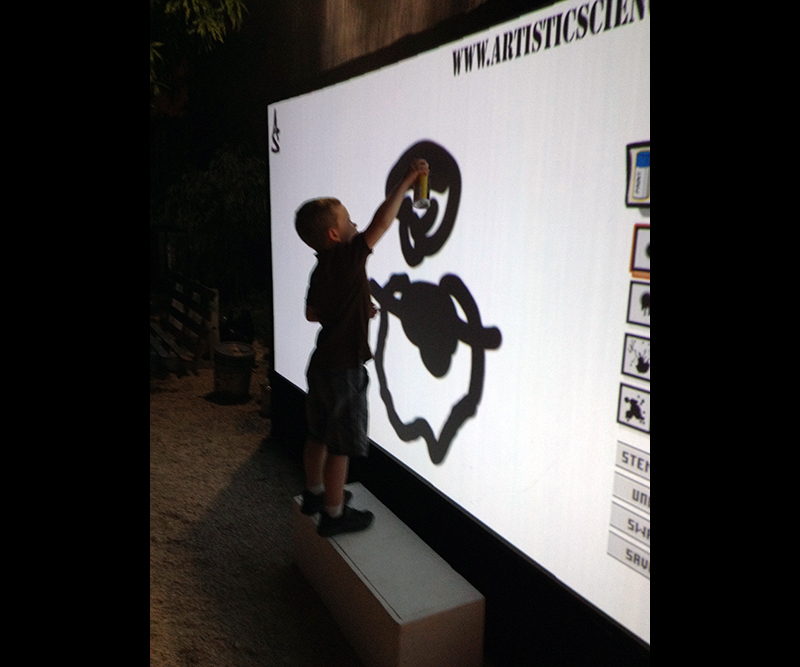 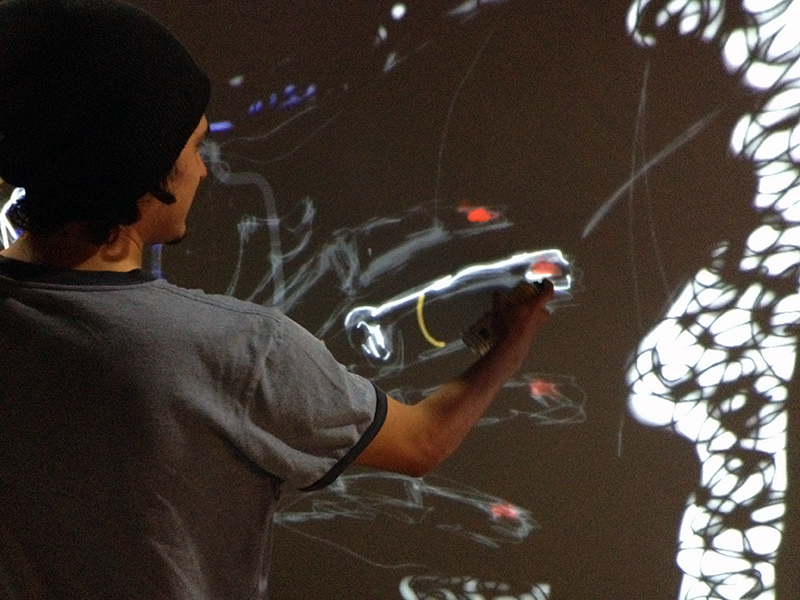 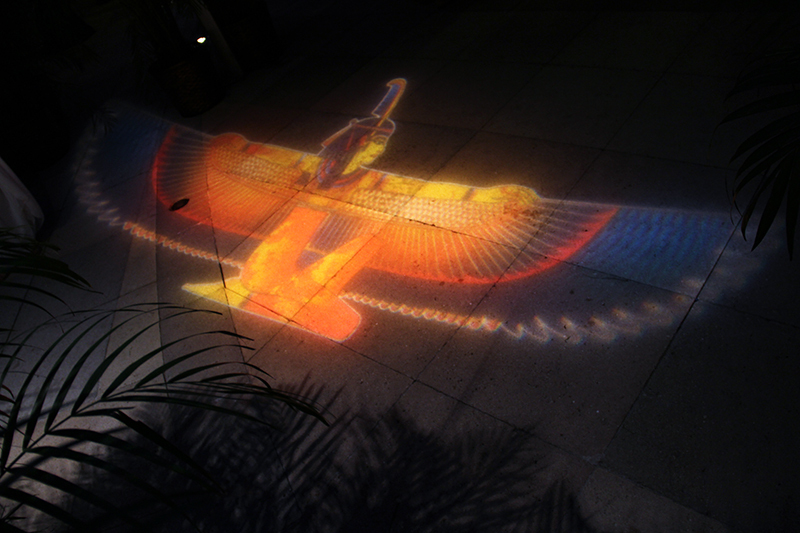 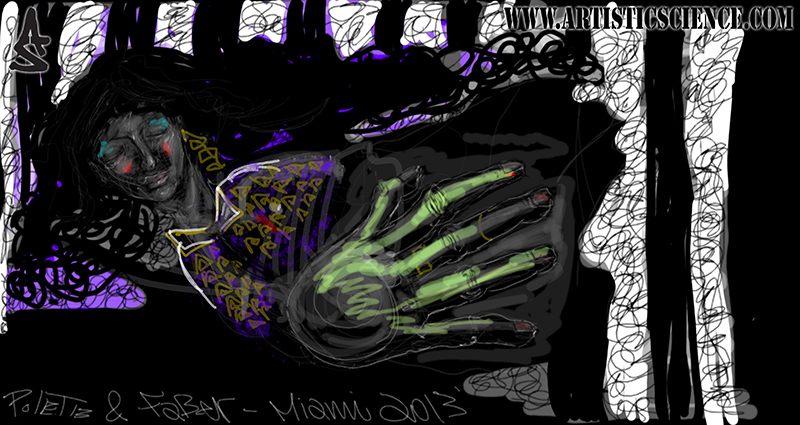 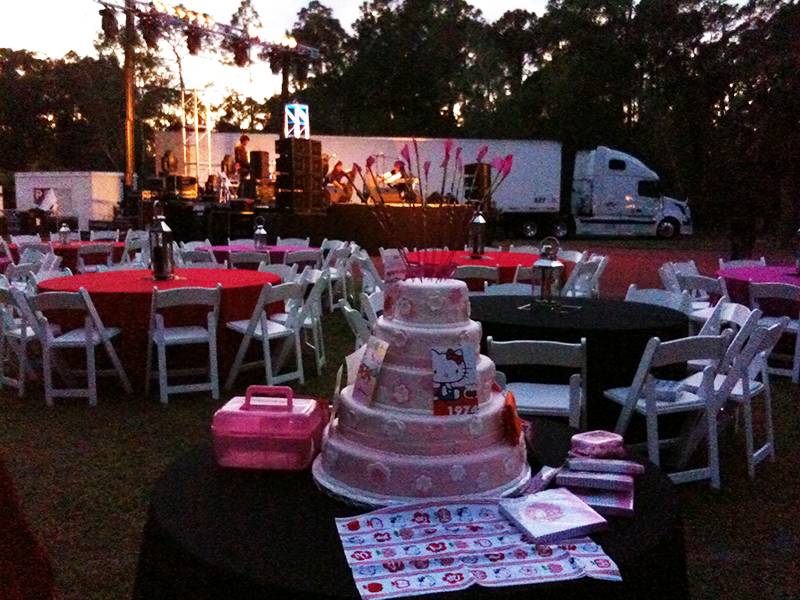 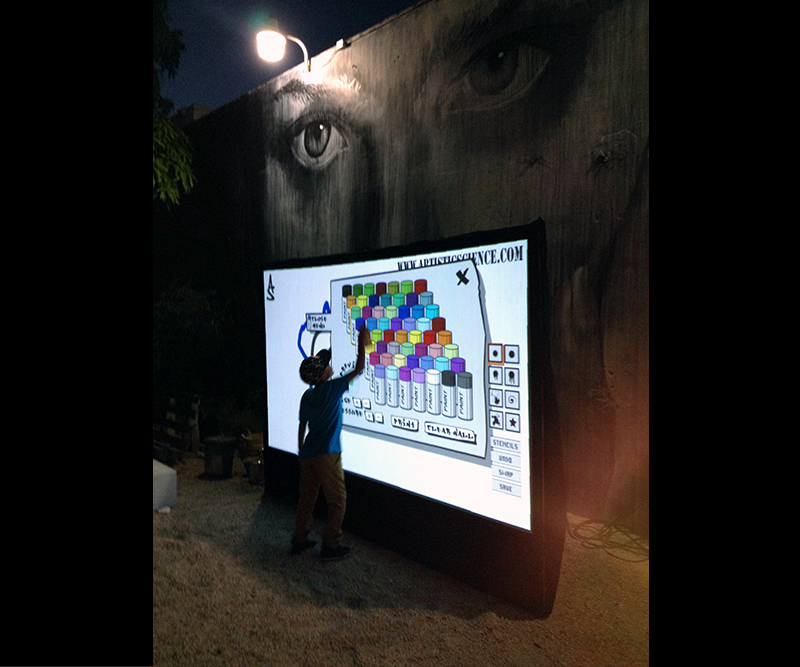 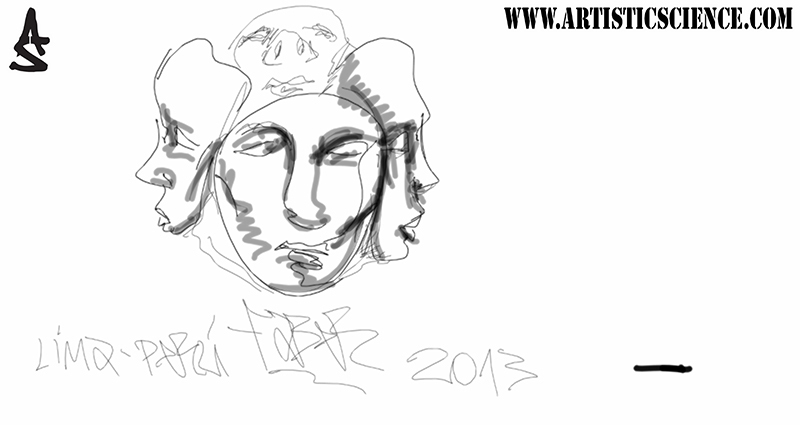 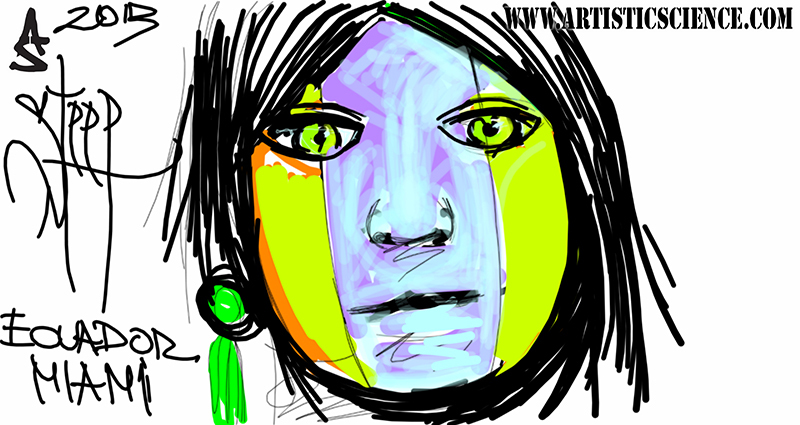 We brought our new digital graffiti wall to Brisky Gallery for a backyard BBQ during Art Basel Miami 2013. 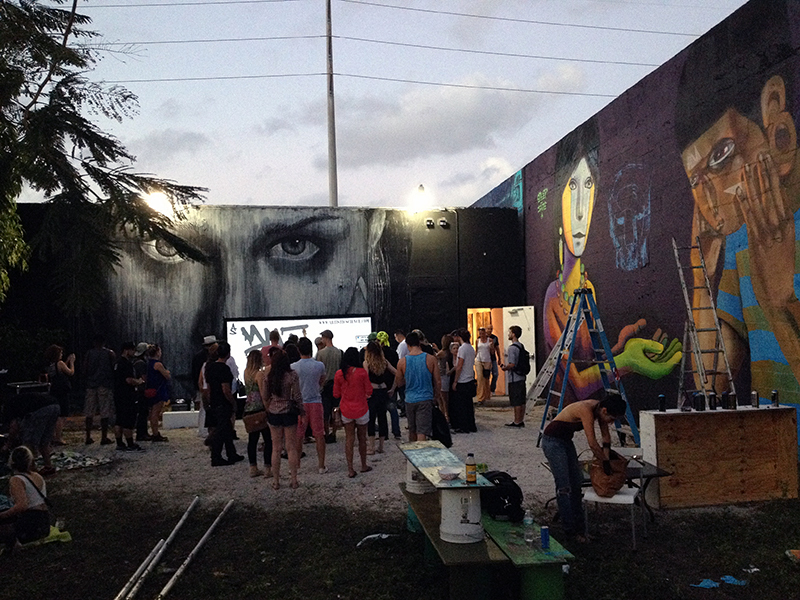 Murals by artists Rone, Steep, and Jade provided an amazing backdrop and atmosphere for our screen. 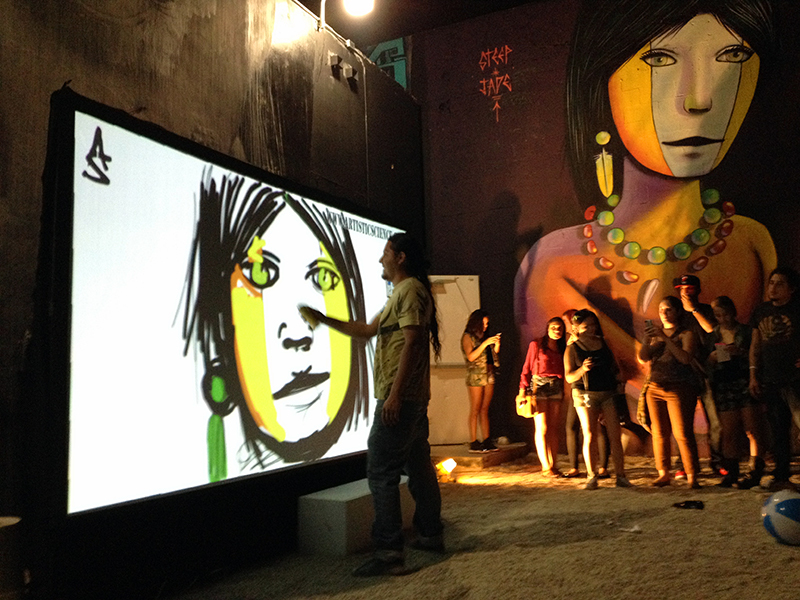 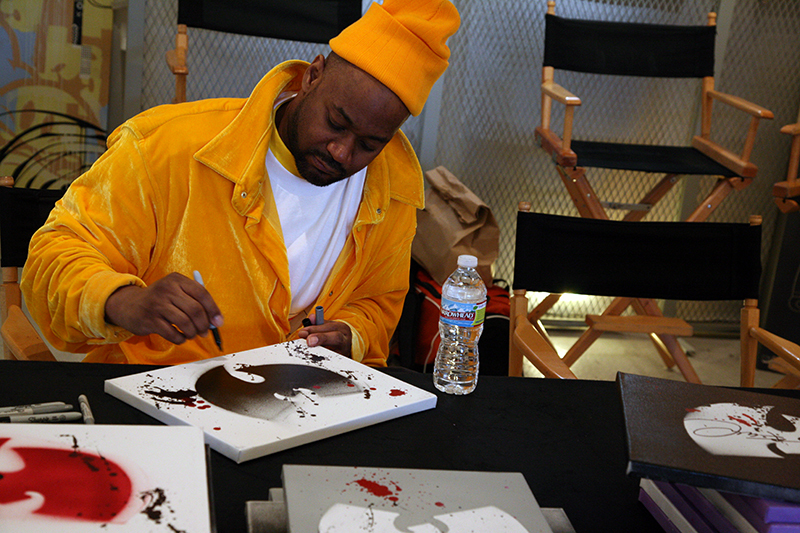 Between the kids, the intrigued, and the artists, the wall was put to good use, even hours after the event was over. 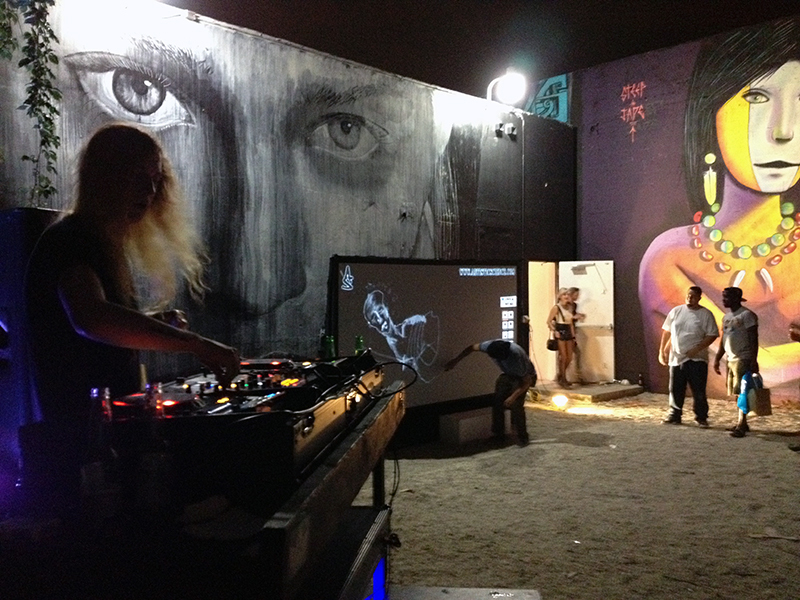 Below are some shots of the night including some great art from our wall by Steep, Faber, and Polet. 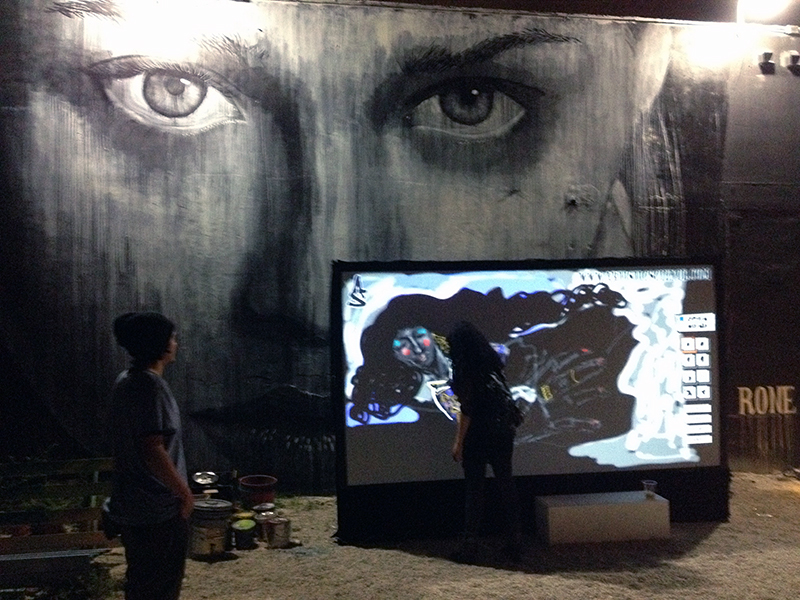 Special thanks to Diana Contreras and Luis Valle.